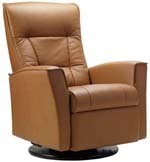 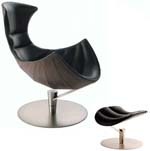 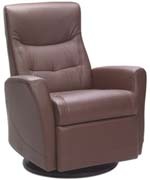 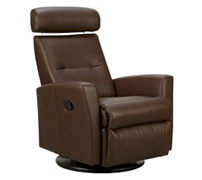 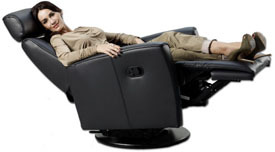 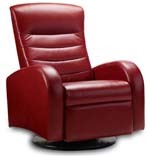 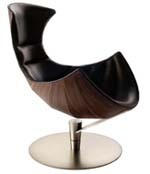 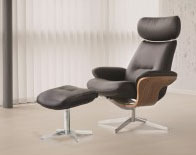 Fjords Ergonomic Leather Recliner Chair + Ottoman Scandinavian Norwegian Lounge Chair. 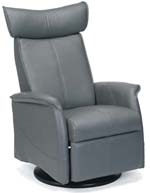 Hjellegjerde Norwegian Recliner Chair Lounger - Fjords Scandinavian Recliners, Stressless Chairs, Stressless Sofas and other Ergonomic Furniture. 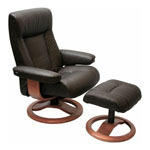 Visit our San Diego California Showroom.